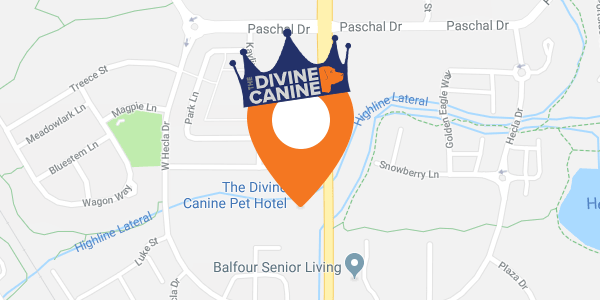 The Divine Canine is located just North of the intersection between South Boulder Rd and CO HWY 42. We are located on CO HWY 42 which is sometimes called 96th st or Courtesy Rd. We share property with Louisville Boat and RV Storage.